To see a map by fuel cell type, click on the icon above. California is an established world leader in producing and using environmentally sustainable energy sources. Fuel cells, as a class of high efficiency, non-combustion power generation technologies, contribute to achieving California’s energy and environmental goals by providing reliable, cost effective, clean power across multiple sectors across the region. 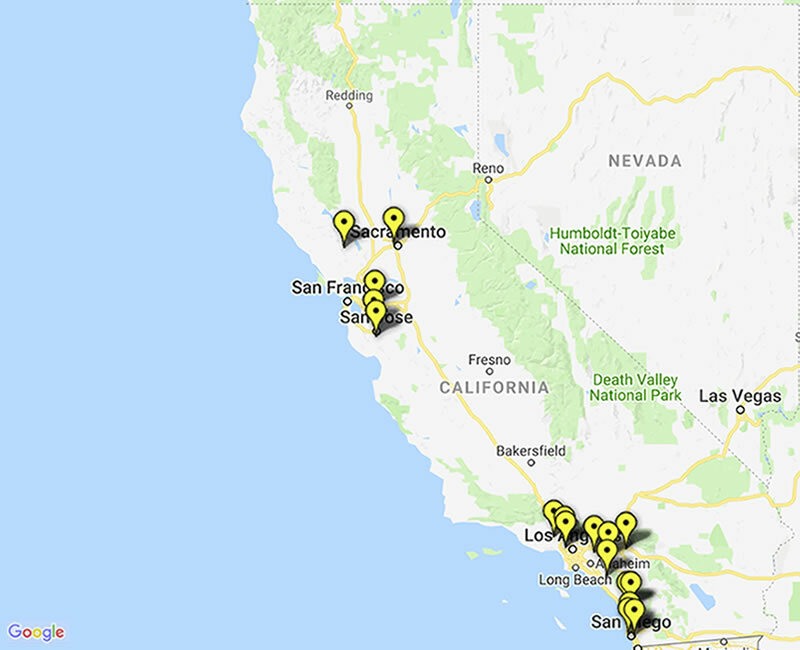 As of March 2018, more than 236 MW of fuel cell systems were installed in close to 200 cities in California, representing enough capacity to provide electricity to 236,000 homes.